This is one of my new favorite dresses. 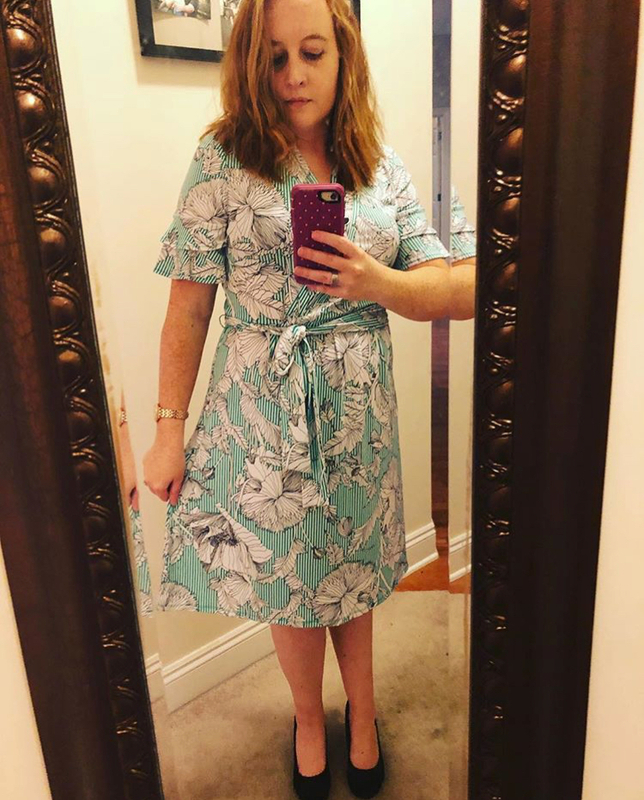 The pattern, flutter sleeves, and wrap top are just so flattering. It comes in two other patterns if green isn't your color. Oh, and it's on sale for under $50 right now. Fits true to size. 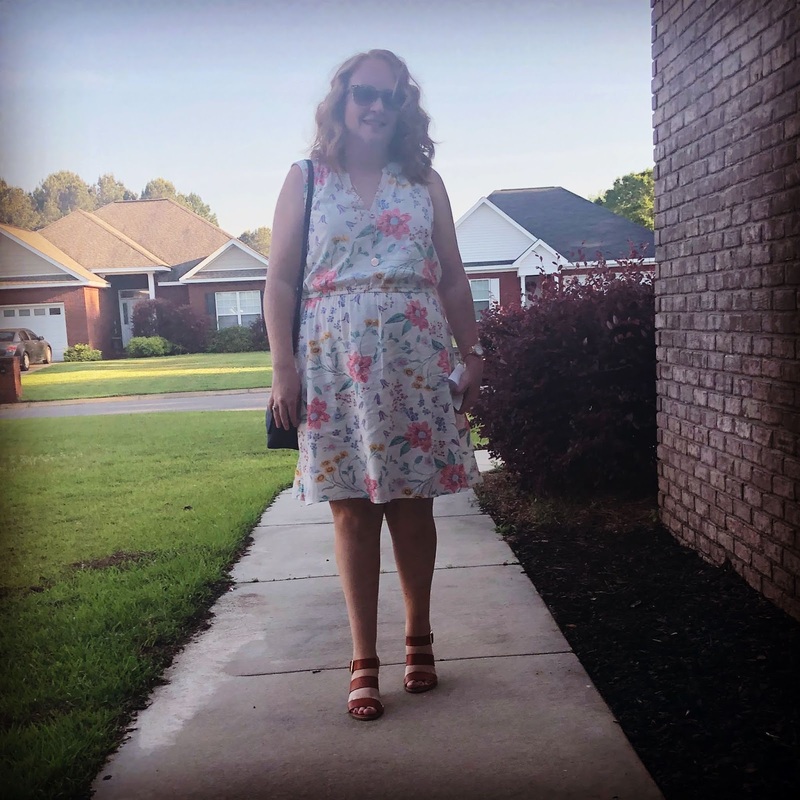 This dress isn't available anymore but Old Navy has so many good, similar options like the two I linked above. Let's talk about my shoes. They have quickly become one of my top pairs for warm weather. The color goes with pretty much everything, the heel's not too high, and the footbed is slightly cushioned. I got mine on sale but they are worth the full price. Have I told you how much I love Target's A New Day collection? 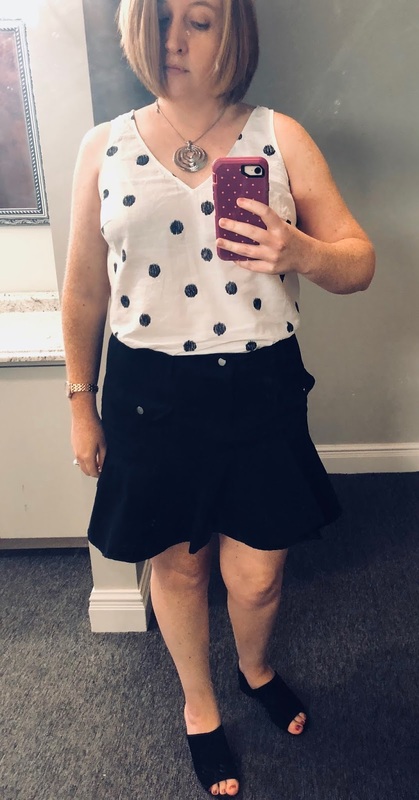 This shirt is the stuff of polka dot dreams, and it's thin enough to keep you cool in our humidity without being see-through. And I'm honestly surprised that this skirt is still available, but it looks like there are only a few left in each size so if you want to snag it you better hurry! My shoes are from last year but I linked a couple of similar options above. I'm not what you'd call a t-shirt person, but this one might convert me. 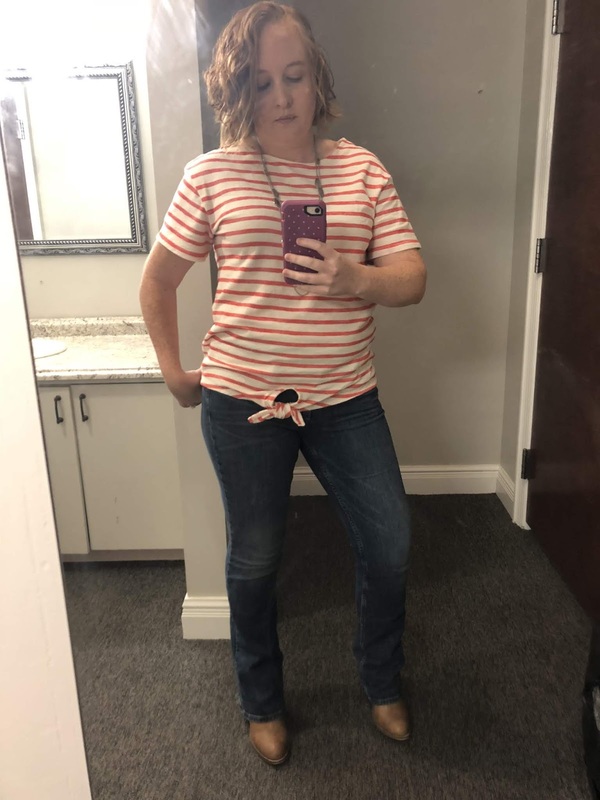 The tied bottom makes it so much more interesting than a plain t-shirt, and red and white stripes never go out of style.